Janis (Helms) Bragg, 94, formerly of Upland, died Monday morning, October 29, 2018, in Westminster Village, Muncie. She was born on March 26, 1924, in Fowlerton, the daughter of the late Clyde and Hazel (Duling) Helms. She graduated from Fairmount High School in 1942. She married J. William Bragg on July 1, 1944, in Fowlerton. They shared 62 years together, before he preceded her in death on July 12, 2006. Mrs. Bragg was a Certified Professional Secretary and was formerly employed with Taylor University, Indiana State Teachers Association, and Avis Corporation. 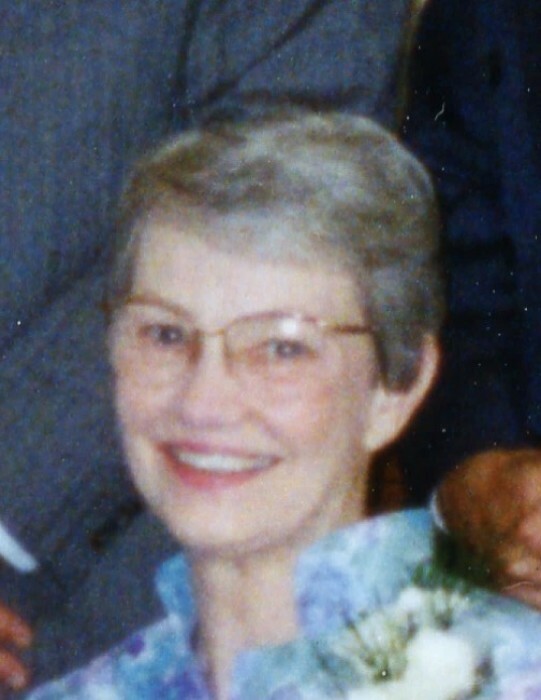 She was a member of the Pierce Upland United Methodist Church and enjoyed playing the piano and organ. Survivors include three sons: Gary (Linda) Bragg, Muncie; Lewis (Francine) Bragg, Albuquerque, NM; and Robert (Deborah) Bragg, Swanton, OH; a sister, Mary Elliott, Van Buren; four grandchildren: James (Genana) Bragg, Cary, IL; Jay (Juli) Bragg, Noblesville; Cassandra (Doug)Potter, Toledo, OH ; and Christene (Chris) Baker, Rineyville, KY ; and 10 great grandchildren. In addition to her parents and husband, she was preceded in death by a brother, George Helms; and a sister, Ruth Reddick. Arrangements were entrusted to Armes-Hunt Funeral Home, Jones-Smith Chapel, 259 N. Main St., Upland, Indiana, where a visitation will be held on Friday, November 2, 2018 from 4-7 pm. The funeral service will be at 10:00 am, Saturday, November 3, 2018, at the funeral home, with Rev. Rob Neel officiating. Burial will follow in Matthews Cemetery, Matthews. Memorial contributions may be made to Pierce Upland United Methodist Church, P.O. Box 11, Upland, Indiana, 46989.